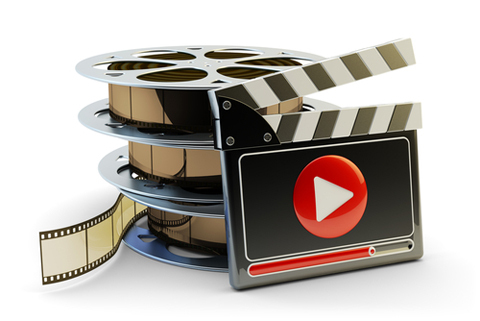 Is video part of your marketing mix? Wondering if YouTube is still relevant? In the past year YouTube has enjoyed a sudden surge of interest from both advertisers and young consumers, largely fueled by mobile-device use. In this article you’ll discover recent findings on how brands, consumers and marketers are using YouTube today. 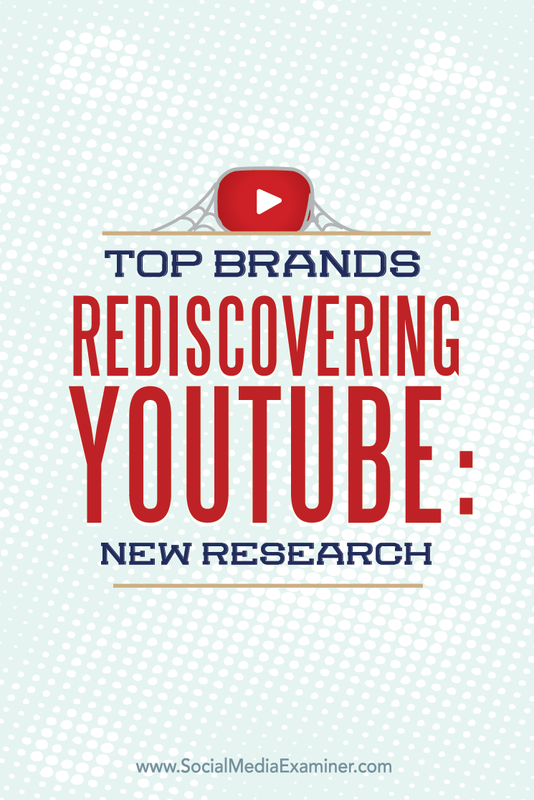 Research that shows how and why top brands are rediscovering YouTube. A spring 2015 study from comScore and UBS (as reported in eMarketer) found that U.S. consumers increased their video-viewing time on YouTube by 17% over 2014. For a platform that’s 10 years old, that’s quite a leap. The chart below shows that the biggest year-over-year gain came from mobile users, who increased time spent on YouTube’s app by 31%. 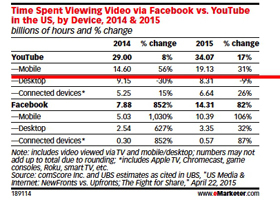 With desktop-viewing hours declining 30% in 2014 and 9% in 2015, clearly YouTube captured the mobile opportunity. The number of hours that users spent on YouTube increased by an average of 17% from 2014 to 2015. Google’s own numbers also indicate a surge even greater than what was noted in the comScore/UBS report. In the search giant’s Q2 July 2015 earnings call, CFO Ruth Porat reported that consumer watch time on YouTube had risen 60% from July 2014. That’s the fastest growth YouTube has experienced in two years. Porat also shared that mobile watch time alone had doubled. In the above chart Facebook’s video usage increase of 852% in 2014 may impress, but remember that it started from almost nothing, so the multiple will be large. The bottom line remains that total time spent viewing video via YouTube amounts to 34 billion hours in 2015. On the other hand, time spent consuming video via Facebook (at 14.3 billion hours) is less than half of YouTube’s amount. Still, viewing video on Facebook only began rising in fall 2014, and there could be far greater upside as more consumers pick up the habit of viewing video via Facebook. The article Facebook to Overtake YouTube: Five New Research Findings covers how in a 2014 survey of 180,000 videos across 20,000 Facebook pages, Socialbakers found that direct video uploads to Facebook were increasing rapidly. More content going up means more viewing time will result. Know where audiences are spending their time and why. Image: Shutterstock. Key Takeaway: Because the biggest leap in viewer time spent on YouTube is from mobile devices, you have to credit the user-centric upgrades that YouTube made to its mobile app over the last two years. The authors of the eMarketer study YouTube Advertising: Why Google’s Platform Will Stay on Top explain that the new mobile app redesign delivers only the most relevant and personalized content. Further, YouTube instituted TrueView ads that allow users to skip ads at the beginning of videos within seconds. With the power to skip away from the ads, users feel more in control of the experience. With viewers rediscovering YouTube as a worthwhile channel to spend time on, it only makes sense that advertisers have followed them there. The YouTube advertising study from eMarketer also predicts the platform will remain the top digital video player until 2017 and most likely beyond, despite Facebook’s incursion into video. YouTube is expected to earn $1.55 billion in advertising revenue in 2015, and that number should rise to $2 billion by 2017, according to the study’s authors. This is still less than the approximately $4 billion Facebook made in ad revenue just in Q2 2015 (extrapolated to a potential $16 billion per year). But given the competition YouTube will encounter from Facebook and others, analysts are impressed with the $2 billion number. 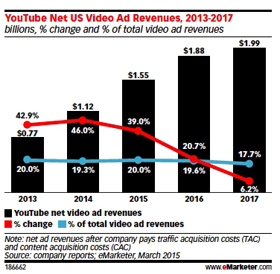 YouTube advertising revenue grew $430 million from 2014 to 2015 and should grow another $330 million next year. In early 2015, digital video advertising agency Mixpo surveyed 125 U.S. agency, brand and publisher executives about plans to use video advertising on Facebook, Twitter, YouTube and more. In 2014, 63% of the respondents ran video ads on Facebook, while 77.8% ran them on YouTube. In 2015, these executives shifted their plans. Eighty-seven percent were planning to run a video ad on Facebook in the coming year, an increase of 24%. While YouTube didn’t quite reach that amount, 81.5% of executives surveyed did plan to run video ads there. Once YouTube’s recent surge in viewership time gets out, those numbers could draw closer. Despite Facebook’s dominance in video ads, YouTube is not far behind. Where YouTube pleased users by creating a mobile app that keeps ads to a minimum, it’s pleasing advertisers by offering ads that meet their goals, too. The eMarketer study authors first credit the Google Preferred Ad platform, just 15 months old, where brands can “pre-roll” ads against the top 5% of the most popular content in areas like entertainment and food. This content tends to be professionally produced rather than user-generated. The best thing for brand marketers? These ads have a pay-per-view format; they cost money only when a viewer actually watches them. Clearly YouTube hopes that enough viewers will watch entire ads so that the channel makes money. To make the case for brand advertising on YouTube, Google partnered with Pixability in July 2015 to analyze viewership and publishing trends from Interbrand’s 2014 Best Global Brands ranking of the top 100 brands. Their findings contradict reluctant advertisers’ views of YouTube as the domain of teenage makeup-artist influencers and cat fanatics. 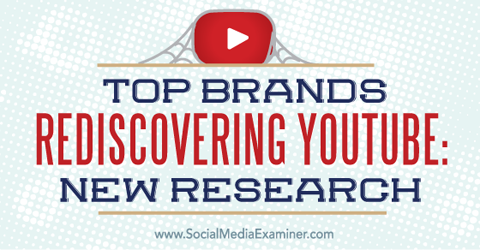 • Four of the top 10 trending videos on YouTube were professionally produced by brands. • Views of branded content have nearly doubled. • Consumers watched brand videos more than 18 billion times. • Brand channel subscriptions are up 47%. • The top 100 brands have increased their spending on video by 60%. • An increase of 40% of these top 100 brands have begun investing in video ads. Pixability rendered these findings in an infographic here. Key Takeaway: At one time, the shaky, grainy authentic videos created by amateurs won the most views on YouTube. Today, the homemade stuff is not the only popular content on the channel. Quality video is getting more attention on YouTube. Image: Shutterstock. Brands can be unique, funny and extremely helpful too. Rather than slick sales messages, they’ve turned to providing value that improves viewers’ lives. It’s fascinating that when creating their videos, many agencies and internal marketing teams are taking their cue from the teens, eccentrics and self-taught experts who found early YouTube fame. YouTube was the first video-sharing channel, and it took other social channels a while to recognize the opportunity that video provides. As mentioned above, Facebook only started encouraging direct video uploads in 2014. Other channels including Twitter, Snapchat, Instagram, Vine, Vimeo and Pinterest only started competing to win brands’ video ad budget in the past year. Moreover, new apps like Periscope and Meerkat and streaming subscription services like Netflix and Hulu will likely make bids for the video ad market share in coming years. Despite these companies’ grabs at video ad spend, most of them still put up YouTube videos on their sites. Brand websites, too, are full of videos from YouTube. Twitter, Instagram, Snapchat and even Facebook depend on YouTube for frequent video posts. That YouTube recently enabled vertical videos in full-screen mode on its mobile app signaled to many that it was accommodating Snapchat. If it accommodates one channel, why not more? 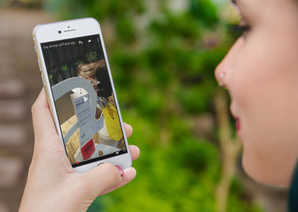 Vertical videos now get fullscreen views on YouTube. Image: Placeit. Key Takeaway: YouTube delivers to viewers and advertisers not only what makes their lives easier and better, but also services that improve other (competing?) social media channels. Basically, it acts as a host to other channels’ content. In the coming years each channel will decide whether it will go for direct upload as Facebook did. Competing for shares as audiences classify themselves based on demographics and interests (Millennials on Instagram, shoppers on Pinterest, etc. ), a few channels may find it worthwhile to let YouTube play host, particularly if it proves helpful as it did for Snapchat. It will be interesting to watch whether YouTube’s partner-rather-than-competitor strategy succeeds. Another force drawing more advertising dollars to YouTube is its popularity with Millennials. A survey of U.S. digital video viewers by the cloud-based video service Animoto in February 2015 found that 75.5% of viewers ages 18 to 35 followed brands on YouTube. Compare this with 57.6% among total digital video viewers (which includes matures, baby boomers and others). 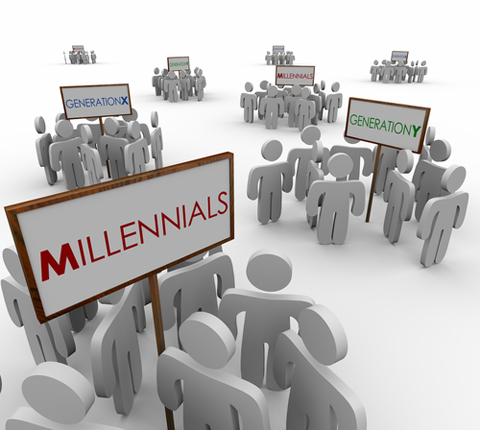 Brands on YouTube should be ready to engage Millenials as spenders. Image: Shutterstock. Key Takeaway: Marketers must be ready to deliver to the next generation of consumers. The 18-35 age group (Millennials) are coming into their spending years. Brands not only must create products for this tech-savvy and socially conscious group, but also reach them where they live. Right now, the majority access YouTube frequently. This article touches on YouTube’s delicate dance with potential competitors. That the roles aren’t quite hammered out yet stems from the fact that YouTube has several “avatars.” Industry experts disagree on whether YouTube is a social media channel. Recognized as the second-largest search engine by most, YouTube doesn’t have the same chronological timeline/feed structure that dominates Facebook and others. Instead, people land on it and search for something interesting just as much (or more) than they scroll for new content the powers that be put up there. Therefore, marketers appreciate it for the SEO juice it provides, as well its social media possibilities. At this point, it seems that the excitement over YouTube video ads may be outpacing the ability to keep up and measure performance. A May 2015 study from social analytics firm Quintly revealed that 51% of the companies surveyed track their Facebook performance, while only 8% of companies track their YouTube performance. 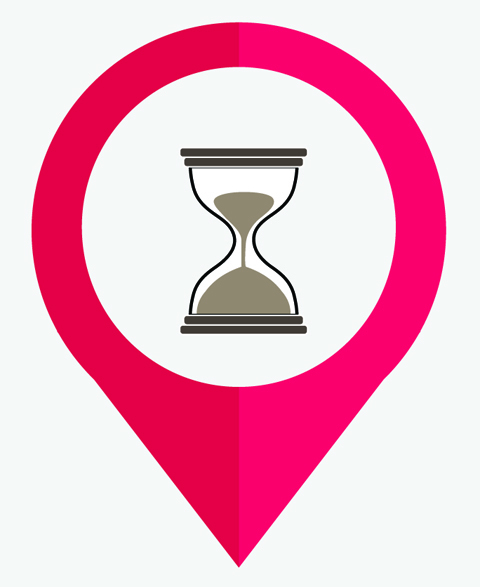 Of course, every marketing effort should be tracked for its return on investment. What do you think? Do your customers use YouTube more as a search engine or a social media channel? Does the new surge in viewer time and increased brand spend on the channel motivate you to create a YouTube video ad? Please leave your comments and questions below. Hourglass photo, Video player photo and Millenial photo from Shutterstock. Vertical YouTube video image created with Placeit.